Late HRM Oba F. I. Adesanoye was born in 1930 into Leyo Royal Ruling House in Ondo Kingdom as the only Son of his Father among four wives. His Mother was Late Madam Alice Olayimide Adesanoye – Nee Akinlami of the famous Late Chief Ayadi Akinlami Family whose ancestral home was a Royal Ruling House from Oyo Kingdom. He was among the Special Team of Staff that Established Federal Ministry of Defence, Nigerian Air Force (NAF), Nigerian Navy (NN) and restructuring the Nigerian Army Officer Cadre in March 1960 towards preparation for the Nigeria Independence from British Colony same year. He was directly responsible for the re-organising Prisons Department (PD). Permanent Secretary – Federal Ministry of Housing and Environment, Lagos 1975. Permanent Secretary – Federal Ministry of Defence, Lagos 1976 -1979. Permanent Secretary – Federal Ministry of Education, Lagos 1979 -1983. Permanent Secretary – Federal Ministry of Petroleum, Lagos 1984. 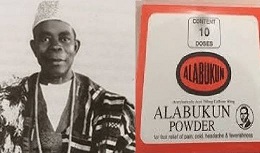 “Under Alhaji Sheun Shagari – Federal Executive Civilian Government as President and Commander-in-Chief of Armed Forces”. 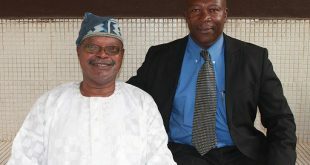 He retired from Federal Civil Service in1984. Served in various Committees set up by Retired General Ibrahim Babangida Led Federal Military Government as President and Commander-in-Chief of Armed Forces 1985 – 1990. Chairman / CEO and Directors of Multiples Companies. Late Oba F. I. Adesanoye received Numerous Honorary Doctorate Degrees from various institutions in Nigeria and other Global Bodies. 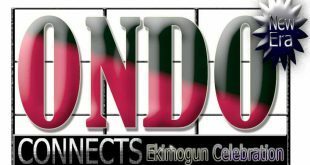 Member – Ondo Development Committee. 1st Chief Launcher – 1st Ekimogun Day in1988. Late Oba Adesanoye was selected among the three contestant Candidates for the Osemawe Throne in 1991 by Leyo Royal Ruling House. He was unanimously appointed as 43rd Osemawe and Paramount Ruler of Ondo Kingdom by the then King Makers. His nomination was immediately approved by the Military Governor of Ondo State, Navy Captain Sunday Abiodun Olukoya (Now Retired Vice Admiral). Confirmed as Chancellor, Old Ondo State University, Ado Ekiti in 1991 (Now Ekiti State University, Ado Ekiti). Oba Adesanoye was also known for His generosity as cheerful giver to many under privileged and gave out Scholarships to many Students of various Higher Institutions such as Colleges of Education, State or Federal Polytechnics and Universities. Late Oba Adesanoye ascended the Exalted Osemawe Throne of His Fore Fathers on 8th day of May 1992. He Built and donated the edified Modern Multi Millionaires Osemawe Palace for the betterment of Ondo Kingdom Community in1993. 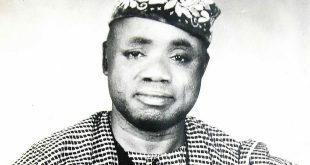 Late HRM Oba (Dr.) Festus Ibidapo Adesaoye Adedinsewo OSUNGBEDELOLA 11 joined His Ancestors peacefully in January 2006.